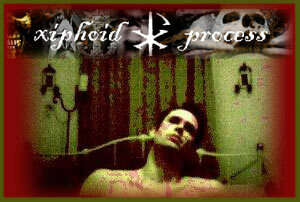 Yesterday afternoon we were very glad to bring you our interview podcast session with Xiphoid Process. Michael, from the band, shared with us some insights into what brought him to become an artist and what influences he has drawn from. The interview helps showcase how much talent and dedication he puts into his work, and we think that you’ll very much enjoy listening to his thoughts between songs. Michael has been putting together music since creating songs for his own listening pleasure in the early 90s, and since his first Xiphoid Process album (My Own Thorny Crown) in 2000, he’s really refined his sound into something unique that stands all on its own. Many of the songs you hear on the interview are from his latest album, Closure, which just released last month, and is now up for digital purchase through XP’s MySpace page. The album brings XP back to its more melodic roots and a step away from the industrial side of ‘The Rest is Darkness and Dismay’. So, if you like what you hear, be certain to hit the link in their profile here to get there. We’re sure that you’ll be glad you did. Well, now that we’ve got your appetites wet, it’s time to share our experience with those of you who didn’t get a chance to tune in. Tell us what you thought of the session, and be sure to drop Michael a line via his site or his MySpace if you liked what you heard as much as we enjoyed bringing it to you. 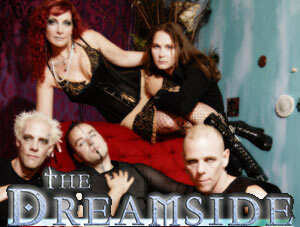 It was our honor, yesterday afternoon, to have Kemi and Roman from The Dreamside as guests for our Chat and Interview session here at Second Shifters. We had a wonderful time with the band, both in our live chat and in putting together their interview and song mix for you, and we’re certain that you’re going to enjoy them as much as we did. Talking to the band for the live chat was incredibly fun, and we learned a lot in the process, including the fact that there are two streets named after them in California, and that Roman might just have to kill Kemi to get more streets named after them in Germany (Just Kidding). If you haven’t glanced at our chat logs before, you’ll definitely want to take a peek at this one to get some deeper insight into the band. And now, without further ado, it’s time for us to share the beautiful experience we had yesterday with all of you. 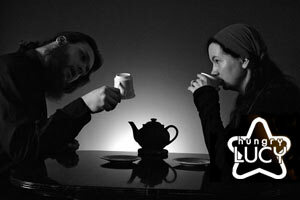 Let us know what you thought the session, and more importantly, if you loved listening to their work as much as we did, head over to their website or their MySpace page to let them know. Yesterday afternoon, we were pleased to have Lady Haidee as our guest for our Podcast Interview and Chat Session. Quite a fun time was had by all, and we were very happy with how well it turned out. Along with Haidee herself, we were joined by quite a number of her fans from the SellaBand community. For those not yet familiar with the project, be sure you take a look at our post about it and see what you think. We think it’s quite an interesting concept, and definitely a unique new way to help support the bands you want to grow. And now, as many of you have been waiting for, we’re pleased to share the experience with those of you who didn’t get a chance to attend in the form of our Podcast (MP3) and Chat Transcript (text) downloads. 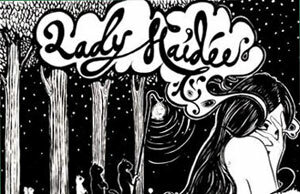 If you purchase a SellaBand part of Lady Haidee, be sure to send her an email at ladyhaidee@gmail.com to let her know you heard about her from Second Shifters. Include your mailing address, and you’ll receive a bonus 10 song demo disc right away, in addition to her new album, Feral, once it is released. Yesterday afternoon we were pleased to have Cell Division as our guests for our bi-weekly Podcast Interview and Chat series. We had quite a fun time, and we hope that you all enjoyed it as well. For those that didn’t get a chance to attend, or for those that want to relive the evening, we have posted both the Podcast MP3 and chat transcripts up for download. Well our first PodCast and Live chat with Christa Belle and War-N I think went really well. Firstly, I’d like to thank Christa Belle and War-N for participating in the PodCast and live chat. They were such a pleasure to have and so very brave for being our firsts. Thank you both so very much. Gracious, kind and very open is how I would describe these two. I t was exceptional to see a band so interested in interacting with the fans – they even turned the tables a bit *Cheeky devils* and asked what version of “Bound in Blood” we all liked best. So if you have an opinion on that – feel free to post it, Email it to us or IM it to us and we’ll be happy to let Hungry Lucy know. For those of you who’ve never heard both version – I’ll be playing them both today – back to back at about 3pm est. Secondly, I’d like to thank those of you who sent in questions to the band and who came into chat to be with us. I had such a great time with all of you. You really made it a wonderful experience. We loved having you there with us for this very special debut! And hope you’ll join us again and again and again. After all this is about the fans and the bands connecting. Just click on “Biography” to see more or scroll down and click request to have a song played live by the on air DJ at the time. Lastly, we’d love to have your feedback and suggestions so please feel free to post them here, send us an email or Instant Message as we’d love to get your thoughts!